As you know we are working on Krita 2.8, that is coming with a lot of cool features and improvements in selections engine, painting of the gradients, smoothing algorithms, brush sensors engine and more! Is there a deadline for suggestions/submissions or is it just going until whenever it's released? Jgholson: thank you so much for your collaboration! - Any specific sizes/aspect ratios? - Would you like us to do the graphical aspect as well (ie. 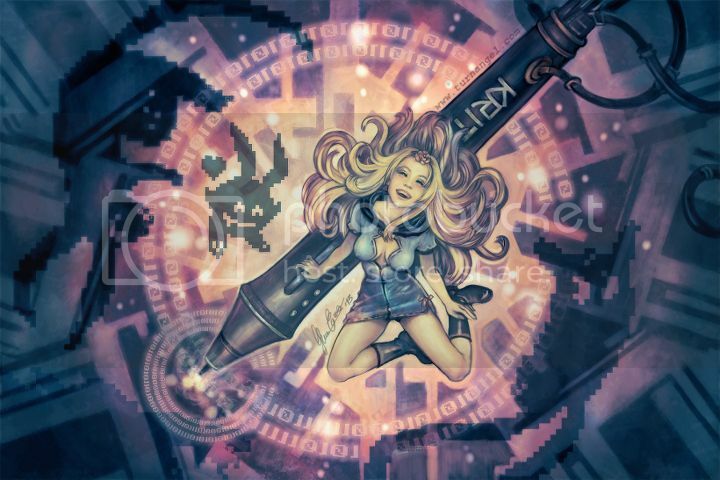 krita logo, border, 'themeing', etc) or just a straight illustration? Size doesn't matter that much as long as it's big enough. We can still scale or crop it a bit. It should just be the illustration. 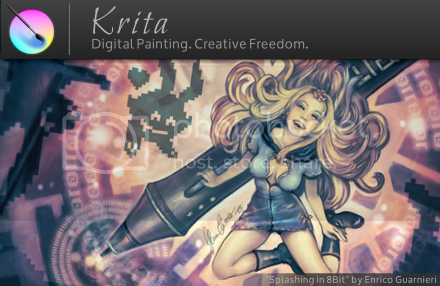 The Krita logo/theming is added later. Last edited by Ico-dY on Sat Oct 12, 2013 8:05 am, edited 1 time in total. @ Ico-dY : very nice illustration, as usual ! Here are my contributions. I made 2 main splashes, with 2 versions for each. Just behind the pictures, you can download the .xpm file. I really like the more abstract red/white splash splash. I will try to propose anothers before december. Very nice splashes Ico-dy & Tepee did there! Based on the picture of Kiki, the mascot of Krita. http://krita.org/item/198 The Krita icon I used are 48x48. Oh my, it's getting difficult to choose Maybe I'll pull a trick like I did with the 2.5 splash, where the paint girl would sometimes show up with a tear but mostly not. Okay... For 2.8, I've taken Tyson's design, with the mascot. For git master, which will become 2.9 or 3.0 (we don't know yet, I'm going with Enrico's design. I really like Tepee's design as well, but the other two give more of a continuity with the splashes we've had over the ages. Thanks everyone for the work!